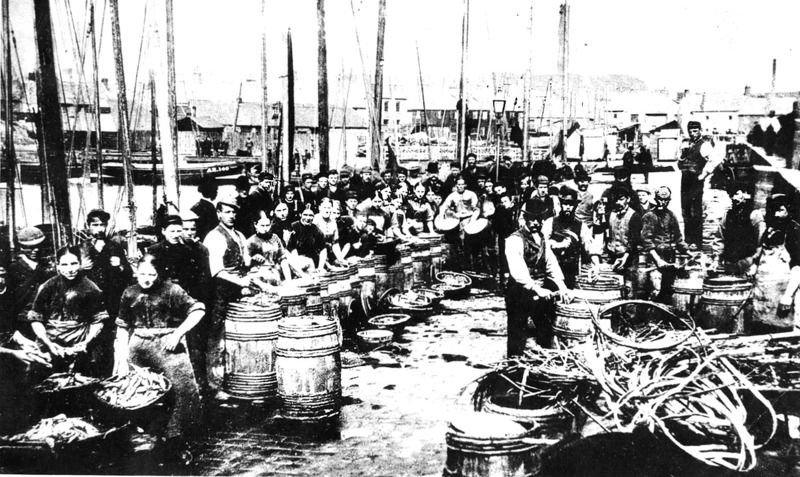 This highly-posed photograph shows the heyday of the herring industry in Arbroath around 1890(?). It created work for the women who gutted, salted and packed the herring and for coopers who made the barrels on-site. This industry led to Arbroath harbour's busiest era but the last herring in any significant quantity were landed in 1953.